Introduce your guests to different suds. How to do that is deliciously flexible. 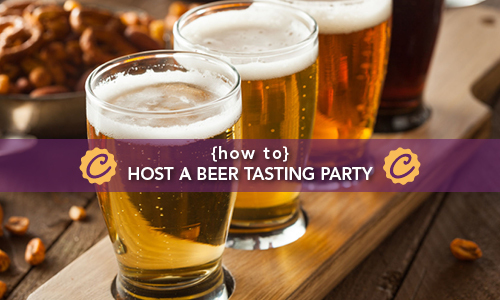 Here are some tips to planning your Craft Beer Tasting. And remember, Celebrate Responsibly! For a Craft Beer Tasting you can feature beers from a particular region, like Belgium, or a particular style like Indian Pale Ale. We recommend selecting five to six types of beers to feature so your guests have a complete tasting experience. Pour the samples into tulip glasses, which will let your guests properly see, smell and taste the brew. We recommend cleansing the palate with a bite of cracker or bread between sips. You also need clean glassware for each sample and water. Click to open a printable PDF!